The exact circumstances surrounding the collision were not yet known. 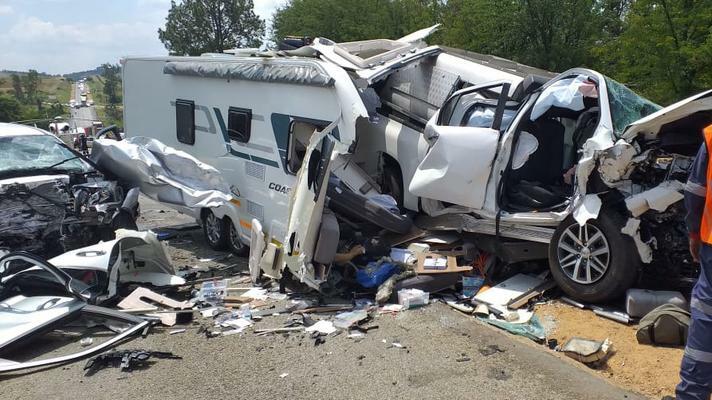 Two people were killed and three others were injured in a head-on collision between a car and a bakkie apparently towing a caravan on the R512 in Lanseria, north of Johannesburg on Sunday morning, paramedics said. Shortly after 11am, paramedics from ER24 and other services arrived on the scene where they found two vehicles with severe damage, ER24 spokesman Werner Vermaak said.